View More In Valve Parts - Page 8. ProX Connecting Rod Kits are made out of the toughest alloys available today. OEM specifications and tolerances are meticulously maintained, guaranteeing easy installation and trouble free performance. 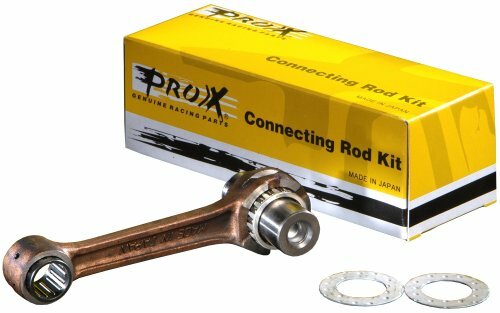 ProX Connecting Rod Kits come complete with connecting rod, crankpin, big-end bearing, small end bearing and thrust washers. If you have any questions about this product by Prox Racing Parts, contact us by completing and submitting the form below. If you are looking for a specif part number, please include it with your message.